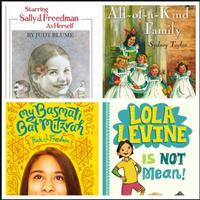 My Favorite Jewish (and Half Jewish) Family Children's Books! Growing up in New Jersey, I was super aware that I was what my family calls a “halfie” – half Jewish, half Lutheran. There are tons of different ways to be a halfie, and that was ours. We celebrated Christmas AND Hannukah, Passover AND Easter. I always saw it as more holidays = more fun. But sometimes it was hard to find books with families like mine. I mean, sure, we always had Judy Blume and Sydney Taylor, but what about other halfies like mine were out there? And try finding a book about Jewish families that wasn’t about the Holocaust, geeze. Here are two of my favorite books about being in a Jewish family that I read when I was a kid and two more that I WISH had been around when I was a kid. While spending the winter of 1947-48 in Miami Beach with her family, ten-year-old Sally makes up stories, casts herself in starring roles in movies, and encounters a sinister stranger. CLASSIC Judy Blume. It's the turn of the century in New York's Lower East Side and a sense of adventure and excitement abounds for five young sisters - Ella, Henny, Sarah, Charlotte and Gertie. Follow along as they search for hidden buttons while dusting Mama's front parlor, or explore the basement warehouse of Papa's peddler's shop on rainy days. The five girls enjoy doing everything together, especially when it involves holidays and surprises. But no one could have prepared them for the biggest surprise of all! Tara Feinstein, proud of both her East Indian and Jewish heritage, questions what it means to have a bat mitzvah and deals with her own doubts about her faith. What are some of your favorite book about Jewish families? Let me know in the comments! 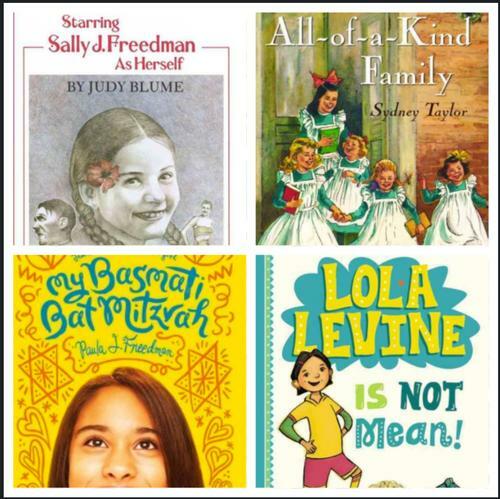 Some of my Favorite Jewish (and Half Jewish) Family Children's Books! Add a Comment to My Favorite Jewish (and Half Jewish) Family Children's Books!